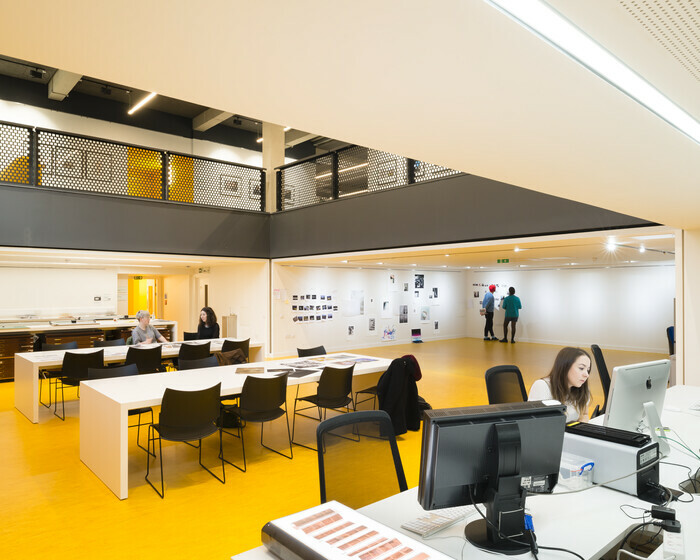 Atelier Ten worked with NEX Architects and the University of Brighton on this full strip out, refurbishment and change of use from an office space to a flexible education space. This four level building comprises basement, ground to third floors, and consists of general study areas, classrooms, offices, media recording spaces, basement photographic studios, screening room and lecture halls. Existing plant and most risers were replaced to include a new roof-top modular packaged boiler room, alongside new HVAC roof plant mounted on a new structural subframe. The new low energy lighting design and building services strategies were integrated with the architectural remodelling of the interior design. The remodelling included exposed existing soffits and challenging ceiling heights in the basement areas. 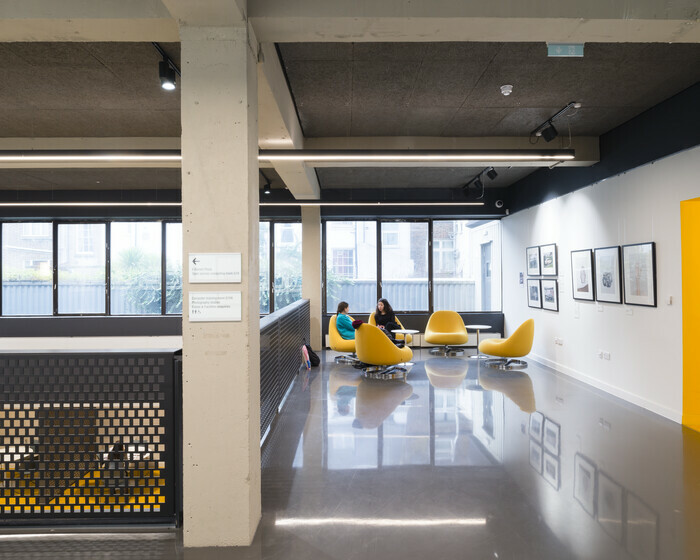 Opportunities for natural ventilation were employed and enhanced using the refurbished façade elements and the new internal double height link between basement and ground floor.